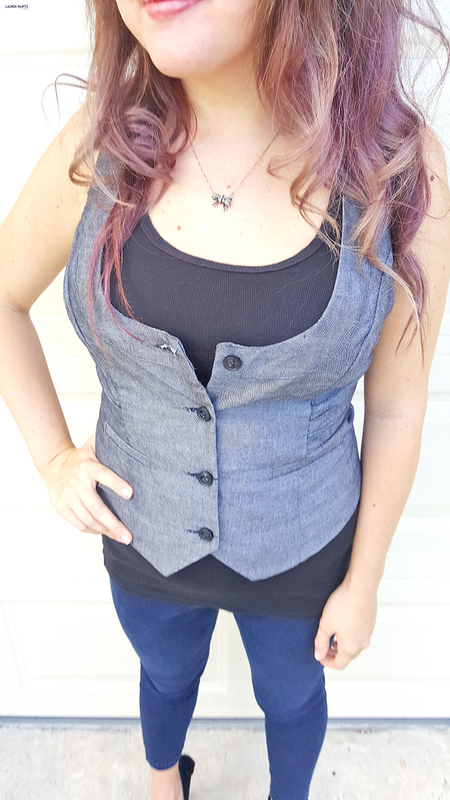 Yeah, it's pretty clear I'm not a size 2, nor am I Meghan Trainor... so I'm not all about that Bass today and I will not be singing; but I am all about this vest and any other vest, for that matter. 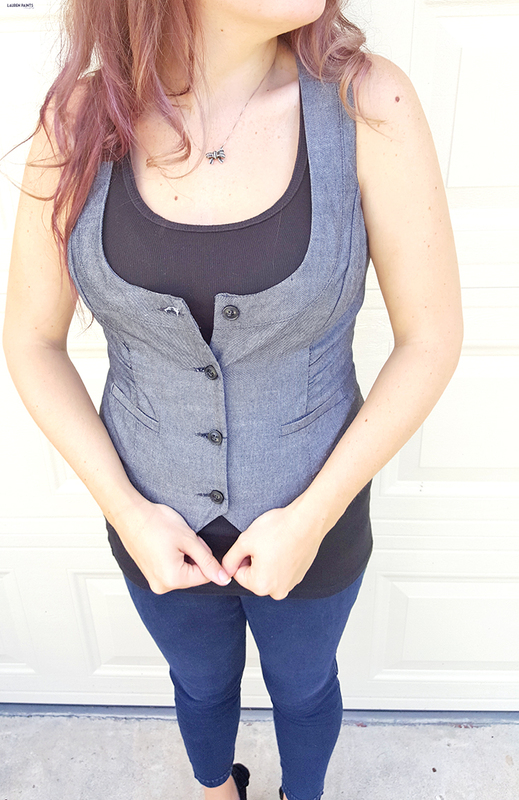 You can call me a vest-aholic if you like. 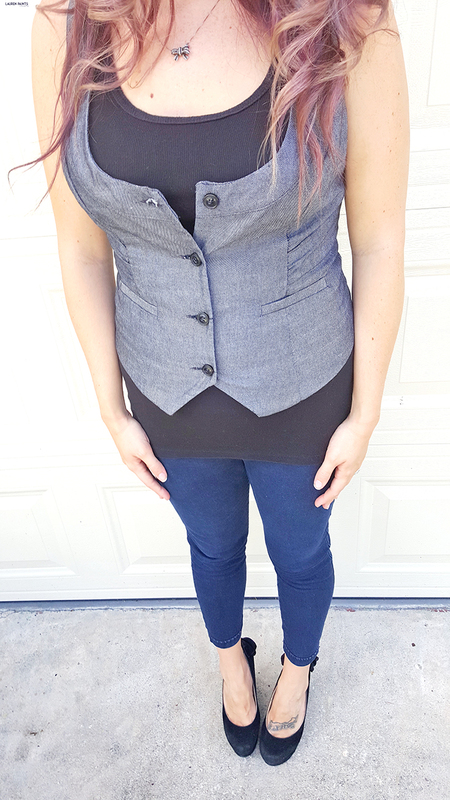 If you have eyes, you can probably see why I'm so obsessed with this vest though. It's almost the equivalent of a bustier, with it's shape and the lift it provides. I love the little faux pockets and the ruching, it's perfection and one of my favorite new additions to my wardrobe this fall. 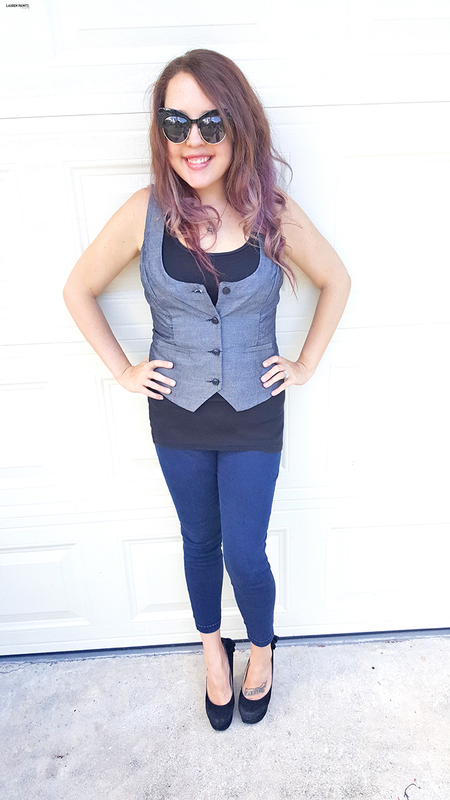 So tell me, my fellow fashionistas and stylish fellows, what is your favorite fall look this year? Leave me a comment telling me all about it below!